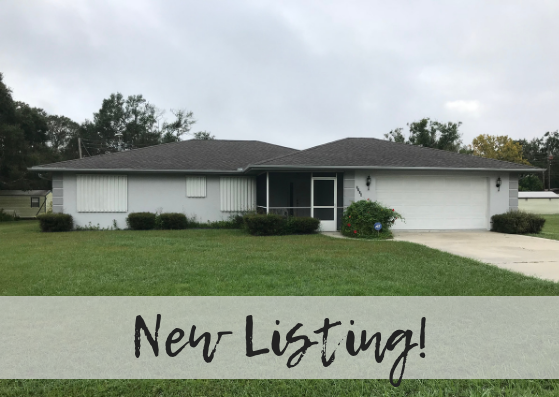 LIGHT, BRIGHT AND METICULOUSLY MAINTAINED 2 (POSSIBLY 3) BEDROOM, 2 BATHROOM, 2 CAR GARAGE FULLY FURNISHED CONCRETE BLOCK HOME IN ONE OF THE MOST DESIRABLE NEIGHBORHOODS IN DESOTO COUNTY! Come take a tour of this lovely home! The interior features a large open layout of the kitchen, dining room and living room! The kitchen is full of cabinetry and includes an island perfect for entertaining! The master bedroom is spacious and boasts a walk in closet with plenty of storage and a private en suite with a tub/shower combo! The guest bedroom is large and is already furnished with a queen bed and dressers. The guest bathroom is pristine and is situated conveniently between the living room and bedrooms! You will love the bonus room that sits right off the living room! The bonus room would make a great play room, media room or even a third bedroom! There is also a back porch perfect for enjoying cool Florida evenings. The laundry room has built in shelving and top of the line washer and dryer. The two car garage is massive and has plenty of shelving for tools! You will not want to wait to see this home. Book your private showing today!